Bungalow, for two people, with a contemporary decoration and beautiful spaces. 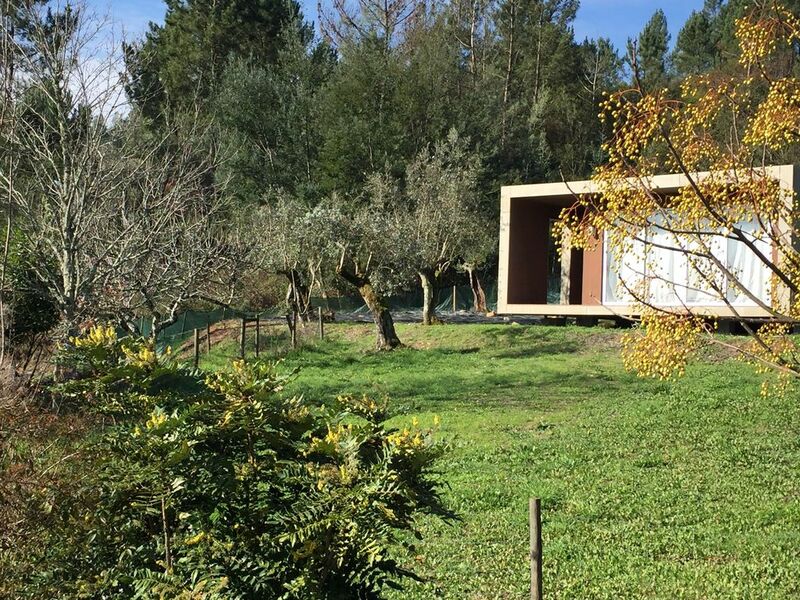 Immersed in nature, with the sound of the birds upon awakening, with superb views to the Lousã Mountain. Inserted in a farm, with main house, pasture and forest area, pisicina and game room, gardens, garage and terraces and rails for paths in the forest. With pedestrian access of 100m. It has a bedroom, living room, kitchenette for light meals (fridge, microwave, electric pot, coffee maker, juicer, kitchen utensils), bathroom with shower, balcony and garden outside.